Backhanded Box Quotes: "Tolerable With Friends ... but So Is Dying of Bowel Cancer." Welcome back to "Backhanded Box Quotes," a collection of measured, thoughtful criticism from the user reviews of Metacritic, Amazon and elsewhere. Two games this week released to nearly universal acclaim, unless you're The Wall Street Journal. Borderlands 2 and Torchlight II. But in the great shining ideas marketplace and opinion democracy known as consumer reviews, both games have to answer to a harsher authority. • "I was stuck I couldn't move forward or back just after I got past a really hard part at the beginning of the game. It froze on me! So I restarted it and I had to start nearly back to the beginning?" • "The game itself is just like Borderlands EXCEPT you have a mini map." • "It becomes tolerable if you do it with some friends around, but so is dying of bowel cancer." • "It's been a while since I've seen in-game menus as bad as these. It's like PowerPoint threw up on a Cluedo board and died." 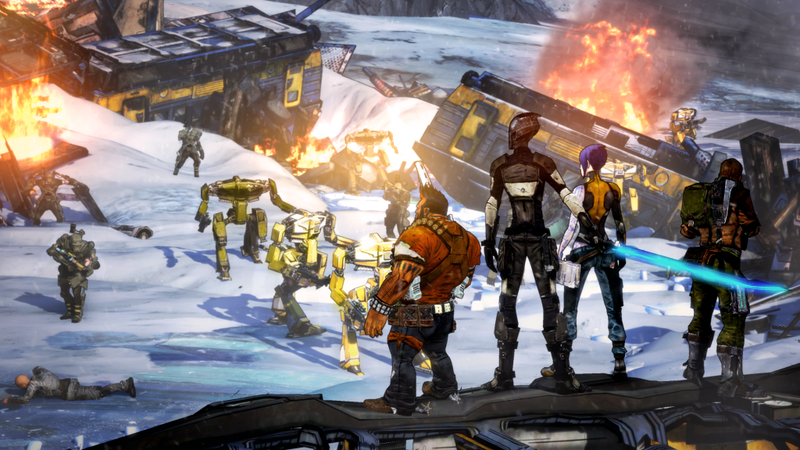 • "Borderlands 2 is a game where you shoot guns at stuff till it dies."